Modern life really is rubbish as Jersey Milk Cow’s brilliant illustrations of former Britpop stars dealing with the mundane aspects of everyday life can attest. In his series, ‘Stars of the Britpop Era Encounter Inner City Pressure,’ the illustrator captures his subjects with uncanny simplicity and also alerts us to the very real catastrophes any number of our idols may experience every day. The creator described the implications of his work: ‘In the late 90′s everyone suffered from pre-millennium tension. Now, over ten years later, these poor people continue to suffer the stresses and strains of modern day city living in the 21st century.’ Here is just a small selection of the series. 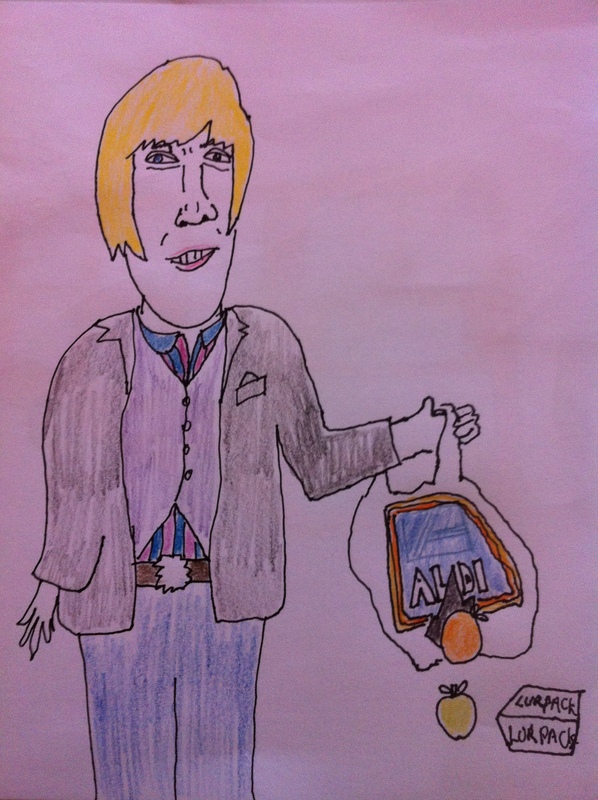 ‘Crispian Mills of Kula Shaker fame involved in an unfortunate carrier bag incident.’ Hey Dude, you better Start All Over with another bag. 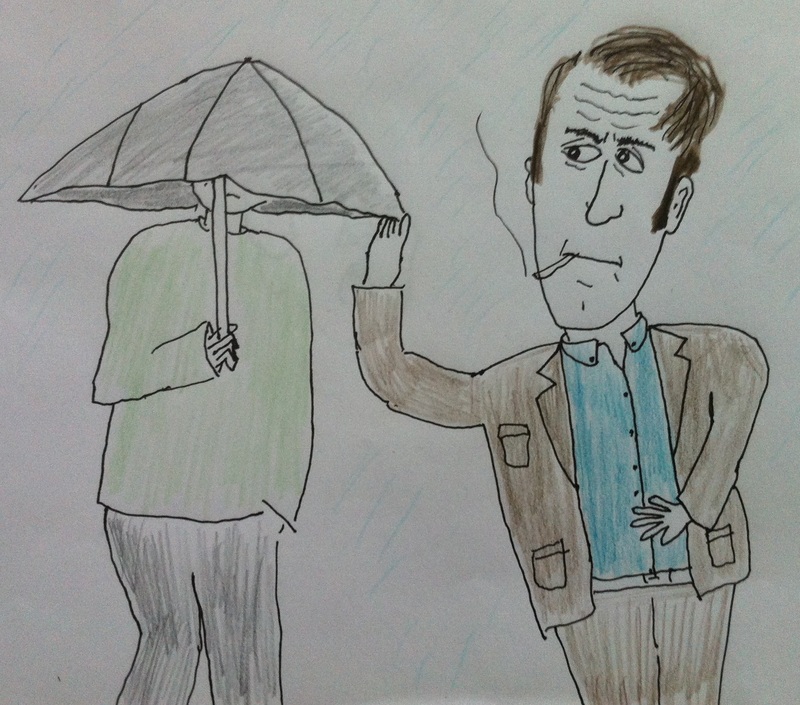 ‘Gene’s Martin Rossiter narrowly avoids being poked in the eye by an umbrella.’ Guess he probably won’t Sleep Well Tonight. ‘A youth on the bus plays the latest hits on his mobile phone. 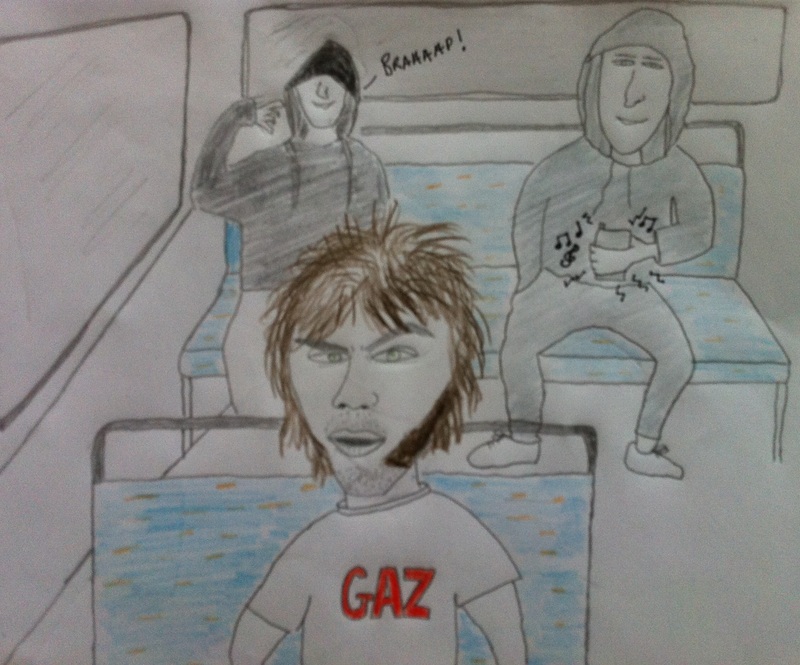 Gaz from Supergrass is not Alright.’ I hope he doesn’t Lose It while their tunes are Pumping On The Stereo. 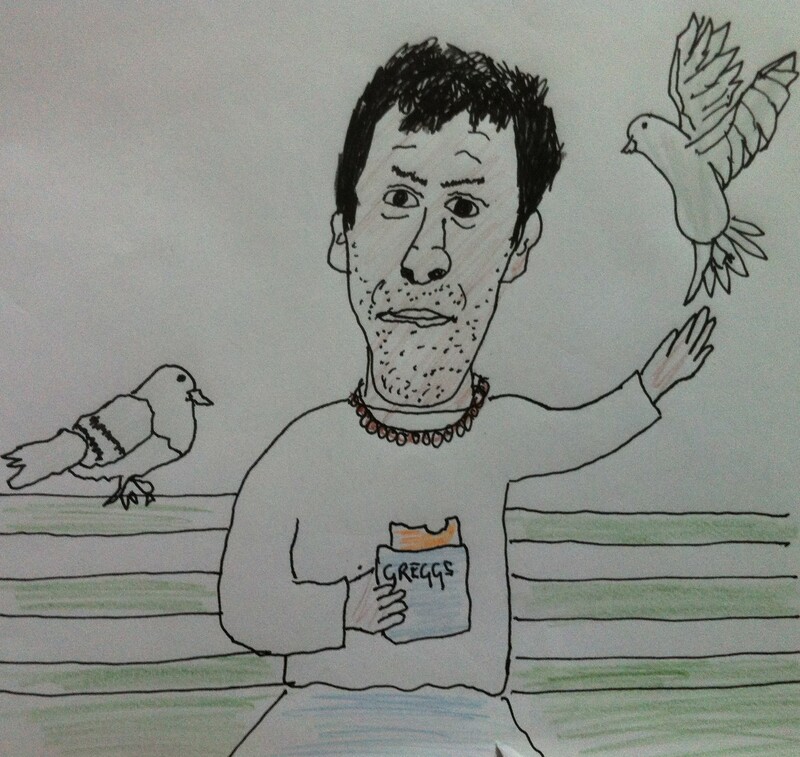 ‘Rick Witter of Shed Seven is hassled by pigeons mid-Greggs.’ Those birds are really Going For The Gold. 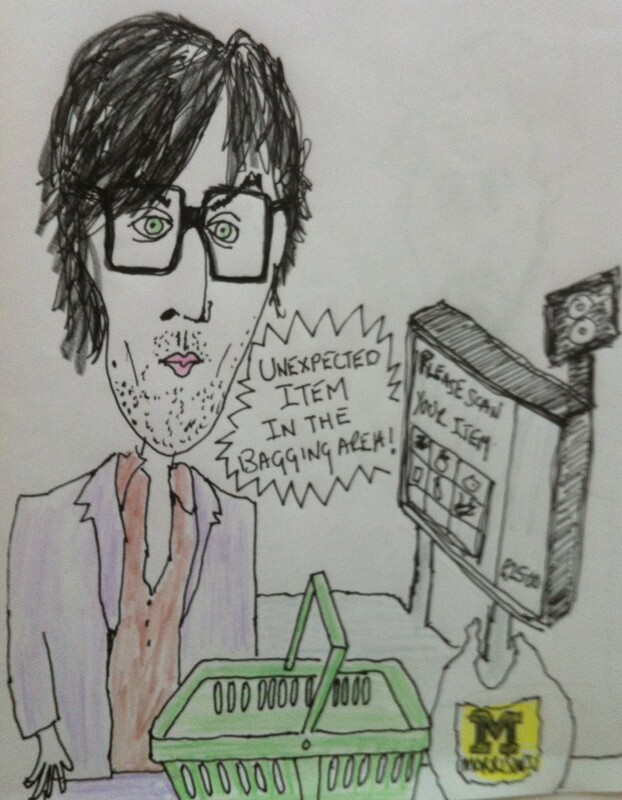 ‘Jarvis Cocker perplexed in Morrisons.’ Do You Remember The First Time this happened? But this is what happens when you live like Common People! This was just a small sampling of Jersey Milk Cow’s work. Check out the twelve other tales of urban malaise here.